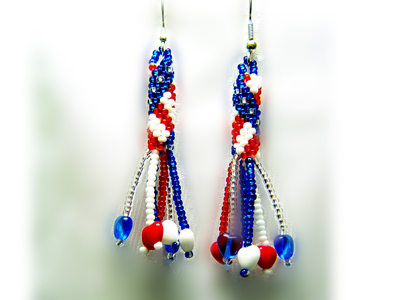 This is a bead crochet tube earring design. To get the spiral to go in the opposite direction, I had to learn how to crochet left handed. There's a trick! 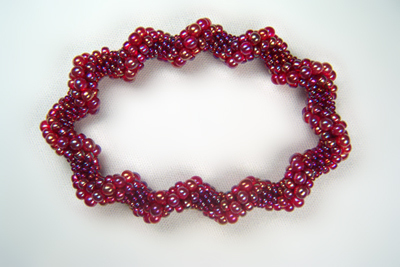 Another variation, using the same bead crochet tubes. Both of these patterns are ones I sell on my website. 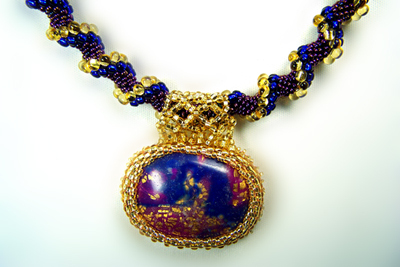 There's no rule that says you cannot hang a pendant on your bead crochet necklace. This is another of one of my latest patterns put up for sale. There's more pictures at my website. This is just as easy as the others...all you need to do is watch your stringing sequence. Knowing some polymer clay techniques doesn't hurt, but this one can be made with any cabochon. The beads in this one are all the same color. It's the change in size that gives it that wonderful spiral. Gail what beautiful creations. Please share with us your beading source. I love the beads you use for your designs. keep up the good work. I look forward to seeing more pics. Most of the beads I use are Japanese beads: Delicas, Miyuki, Toho, or Aikos. 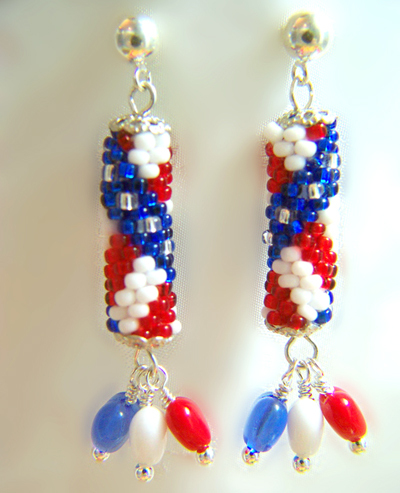 Some others are Czech seed beads, which I buy from Shipwreck beads. I buy them in 1/2 kilos because I sell kits, and that takes lots of beads. I've finished another amulet bag, and this one is made with Delicas. It's reversible, and I lined the bag so the colors wouldn't bleed through.